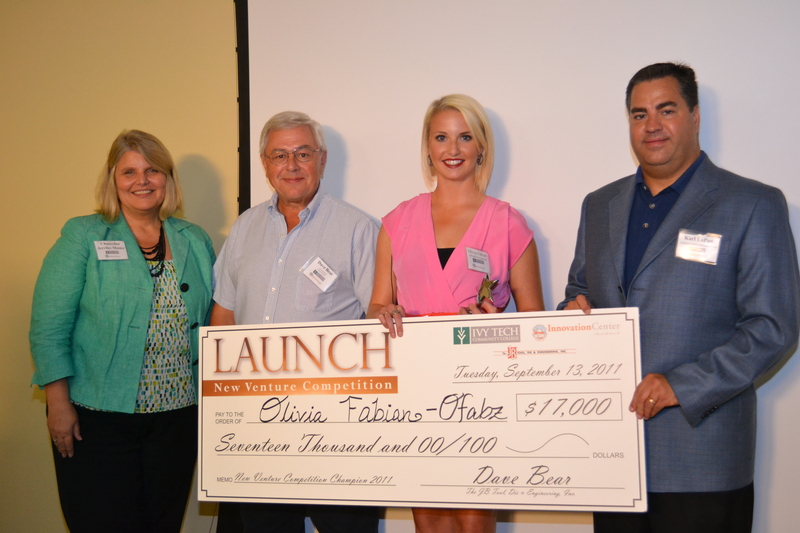 NORTHEAST – Olivia Fabian, recent graduate of Ivy Tech Community College−Northeast, was announced the winner of Launch: New Venture Competition at an award ceremony Tuesday night. Fabian will receive $17,000 to launch Ofabz swimwear, a company that will feature innovative swimwear and related accessories. An additional $11,700 package was awarded to her as part of a business-mentoring residency on the Northeast Indiana Innovation Center (NIIC) campus. Ivy Tech also invited her to attend the Disney Institute program they are hosting Sept. 21, a $399 value. This brings Fabian’s total winnings to over $29,000. Fabian graduated from Ivy Tech this spring, with an associate’s degree in Business Administration with a concentration in business management and marketing. She is currently pursuing her bachelor’s degree at Indiana Tech. Launch: New Venture Competition was made possible by a capital formation partnership between Ivy Tech–Northeast and the Northeast Indiana Innovation Center. It was created to promote economic development and job creation through a business plan competition. This is the first year for the event, but it is projected to be annual. This opportunity falls in line with the Business Administration department’s efforts to educate students who create jobs—not simply get jobs. The competition is the first of many efforts to develop business students to their full potential. This fall, five new entrepreneurship courses will be available, as the college administration contemplates the long-term goal of a Center for Entrepreneurship at Ivy Tech–Northeast.